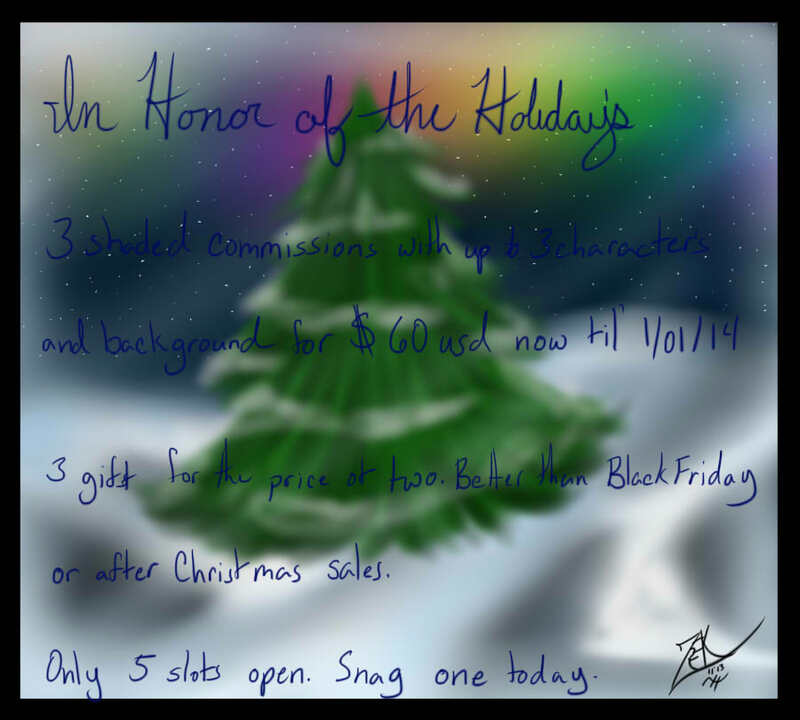 As it says, 3 shaded commissions with 3 characters and a background for $60. Where can you find a better deal? Also, if you prefer to consolidate all nine characters into one image you can and only be charged a total of $50.